Indie game bundles are all the rage these days, and why shouldn’t they be? You get to download great games for a low price, support indie developers and usually charity at the same time. 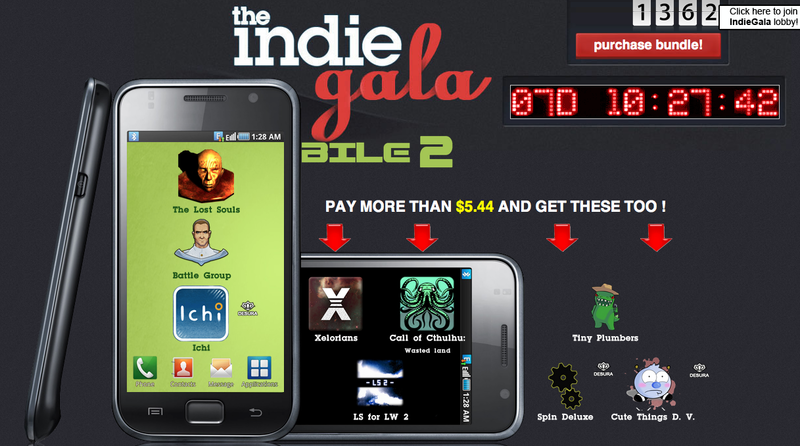 The Indie Gala is now live and ready for you to invest whatever you want into it. Any price will get you three games: The Lost Souls, Battle Group and Ichi, but if you pay more than the average amount you get access to a lot more titles since you’re ponying up the extra cash. When you purchase your games you can divide up your money to tell it where you want it to go. If you want support the developers more you can give them a share, but if you want to donate more money to the Italian Red Cross to help with Earthquake relief, or Able Gamers, another charity, you can do that as well. Gift URLs can be purchased and you can give these downloads to friends or family as well. Great games for a great cause, hit the link below for the Gala’s website.